Meet the First Group of CorpsAfrica Volunteers in Senegal! Amadou Alpha Ba is from Dakar. He received his baccalaureat from Ziguinchor then went on to study at the University of Saint Louis where he obtained a degree in Applied Foreign Languages (English and German). Amadou is finishing his Masters in Tourism and Hotel Management. Very active as a student, he was president of the Google Student Ambassador committee. As a member since 2013 of UGB Verte, a structure that advocates for the environment, he participated as a volunteer in Citizen Camp in the Carabane Island and in the Saloum islands. He is also a member of AIESEC where he also attended sessions on leadership training. Amadou has participated in activities with Afrobarometer in which he visited more than 50 villages in Senegal, which was what sparked his interest in helping people in remote areas. Adnane Sounni is from Chefchaouen and lives in Meknes, Morocco. In 2010, he obtained a degree in Computers Science. In 2014, he graduated from the University of Mouly Ismail in Meknes with a Bachelor of Arts in English Studies. He is a CorpsAfrica Volunteer since December 2014. From December 2014 until January 2016, he volunteered in Morocco in a village in the region of El-Jadida city where he worked on development projects with the community. 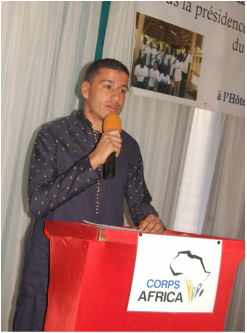 After finishing his service in Morocco, he moved to Senegal in another volunteering mission with CorpsAfrica/Senegal. Most recently he participated in the Arab Ambassadors for Dialogue Program that took place in Tunisia. It is a program funded by Denmark to push for more dialogue and acceptance in the Arab World. In addition to that, he participated in many other training with peace volunteers; the last one being the Gender Advocate Training program. Adnane is interested in human development, human rights, and international relations. Boubacar Biro Diallo, aged 25 years old, is from Ziguinchor in southern Senegal. He graduated with a degree in Sociology from the University Assane Seck in Ziguinchor. 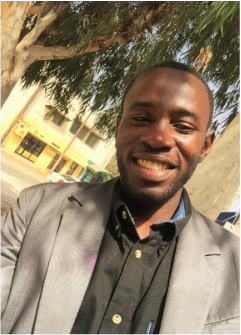 Boubacar has gained a lot of experience in community service, such as when he coordinated several activities for the benefit of different communities in partnership with ChildFund Senegal, UNICEF and the World Food Program (WFP). Boubacar was active in student activities and movements. He was the president of the Club Education à la Vie Familiale (EVF) in Djignabo High School and served as General Secretary of the Social Commission for students at the University of Ziguinchor. 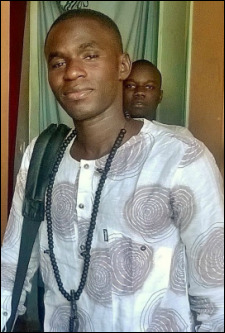 Gnagna Dabo is from Mbour, Senegal. 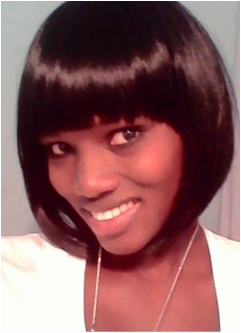 She grew up in Kaolack but now resides in St. Louis where she attends the Université Gaston Berger de Saint-Louis. She has a bachelor and a Masters I in Sociology of Work and Organizations. Currently, she is pursuing a Masters II in Enterprise and Organization Communication and at the same time is a student of Licence III Sciences of Education at the Université Gaston Berger de Saint-Louis. Gnagna is a certified instructor for educational institutions and groups; she volunteers in summer camps with children from disadvantaged neighborhoods with GRACE Association (Groupe de Recherche et d’Action pour les Collectivités Educatives). 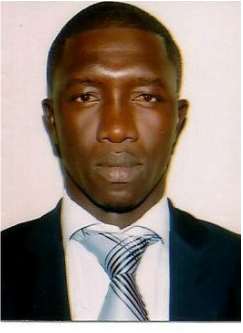 Gnagna has gained professional experience in Enda Graf Sahel, CROUS (Centre Régional des Oeuvres Universitaires Saint-Louis), and in SNHLM (Société Nationale des Habitations à Loyer Modéré). She has also volunteered at the Bureau Accueil Orientation Information (BAOI) at the university for the year 2015-2016 in the reception and orientation of the new graduates. 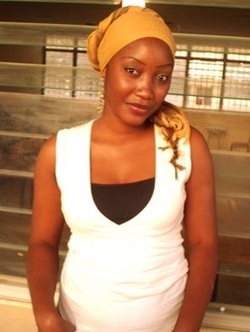 Dinisse Sylva holds a professional degree in business management from UCAO (l'Université Catholique de l'Afrique de l'Ouest) in Ziguinchor. 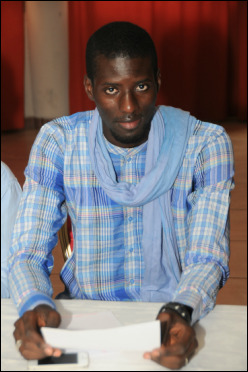 He was president of a student organization (l’Amicale des Etudiants) at UCAO during his second year of college. Dinisse is the manager of CARITAS in the Tiléne community, central to Ziguinchor and president of the youth catholic organization (‘Amicale des Jeunes Catholiques) in Saint Benoit, Tiléne. 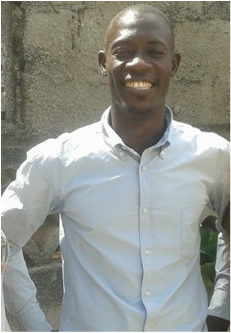 Dinisse has interned in Allianz insurance and in PADERCA, supporting developmental projects in Casamance. Ndeye Awa Gueye is originally from the region of Louga and now resides in Sébikotane in the Rufisque region. She received her BAC in Malick Sall High School in Louga then joined the Université Gaston Berger Saint Louis where she earned a bachelor’s degree in International Business and Trade before being selected to pursue a Professional Masters of Engineering in Local Development. 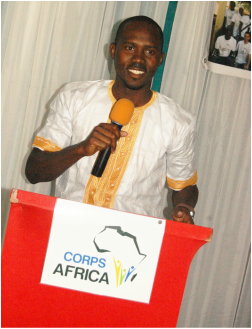 Ndeye Awa is very excited to be part of the first group of CorpsAfrica Volunteers in Senegal. Abdou Cisse is originally from the Ziguinchor region. He holds a Sociology degree from the University Gaston Berger de Saint Louis where he is currently pursuing his doctoral studies in Sociology of Development. He has participated in many community service and volunteering activities throughout Senegal. Abdou is highly interested in rural development. Walid Chougna, 28 years old, is from Meknes, Morocco. He obtained a degree in technical computerized management and another as a technical specialist in systems and networks. He is a member of Al-Majd association which works with underprivileged children. 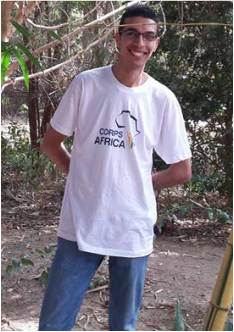 This is Walid’s first time serving and is really excited to be a CorpsAfrica Volunteer in Senegal as a Moroccan, serving his continent of Africa. Bruce Cédric is native to Dakar. After obtaining his Baccalaureate in 2008, he was enrolled in the UFR Legal and Political Sciences at the l'Université Gaston Berger de Saint-Louis for 2 years, then the Humanities in Sociology department where he chose to specialize in Development Sociology, addressing the issues of decentralization and development. Throughout his career, Bruce has been interested in civic engagement and has worked as the educational building project supervisor with children in YMCA / Senegal. His passion for decentralization as a vehicle of development in Africa has engaged me in internships in local communities and at the level of the Ministry of Local Government, as well as at organizations like Caritas and the course investment funds such as USAID and CRS. Mama Diop was born in Mbacké, in the Diourbel region. He received his Baccalaureate in 2010 then joined the University of Gaston Berger of Saint-Louis. He received a degree in Language, Literature and English-Speaking World Civilization after the first three years. This first degree provided him the opportunity to secure a Masters of Engineering in Local Development in 2013. After completing his Master I, he specialized in Geographic Information System for the Master II. Mama is highly interested in the development of his community, and has gotten involved in community service and volunteering, such as working towards youth awareness in his community through social networks, and assisting with student associations and helping to improve the students' English skills during their school breaks. He has conducted monitoring and evaluation workshops at the Regional Development Agency in Diourbel. Mama also had the chance to visit many regions of Senegal and to meet with different communities while performing impact assessment for an educational project. 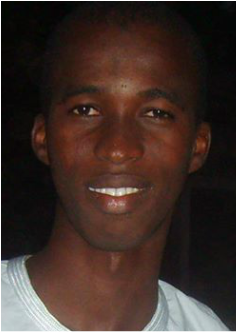 ​Hameth Ndoye attented Cheikh Anta Diop University for two years and graduated with a degree of Geographical Studies. He then joined Delafosse Technical Institute where he is currently attending a two-year program in International Trade and Commerce. His professional experiences have led to a number of accomplishments, including receiving an English certificate delivered by the British Council of Dakar. Hameth was involved with Sonatel, a large telecommunication company, Phillip Morris Company as a trade agent, and with the International Airport of Dakar. Hameth was also involved with an NGO called Global Citizen Year, where he was responsible for logistical support as coordinating fellow packages, transportation, scheduling, coordinating fellow medical visits and other fellow needs, arranging meetings, maintaining the office calendar and more. He also performed administrative support such excel budget items entry, assisting with the budget development, basic accounting, data entry and assisting the country director with necessary needs. His experience with Global Citizen Year was one of his inspirations for joining CorpsAfrica/Senegal and to serve in underprivileged communities.